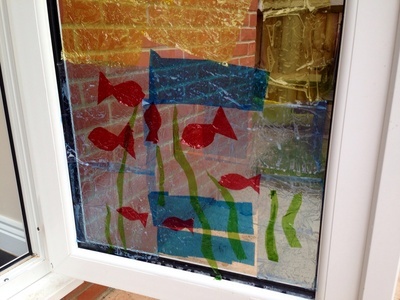 Have fun creating your own stained glass effect window art. Younger ones will enjoy just sticking coloured pieces on to make a colourful collage. Older kids can cut out detailed shapes to make a defined picture. 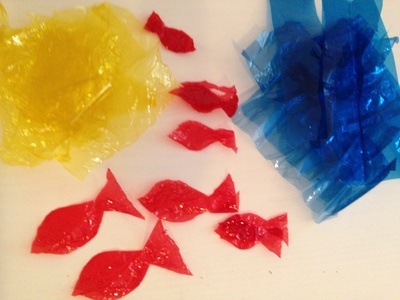 Cut the cellophane into shapes if you want to make a defined picture. Alternatively just cut pieces up out of different colours. 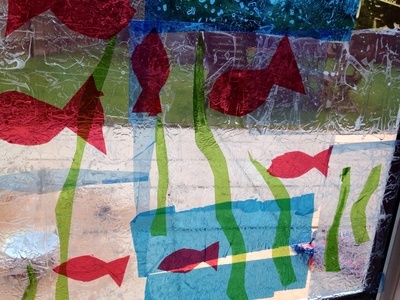 We cut out pieces of blue and yellow to make a sea scene with some red fish and green water weeds. Mix a bowl of soapy water (we used a squirt of regular dish soap in a bowl of water). 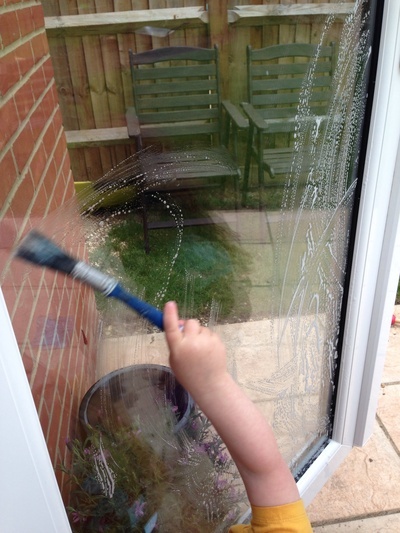 Brush the soapy water onto a window or patio door window. (You might want to lay a towel underneath to catch any drips). 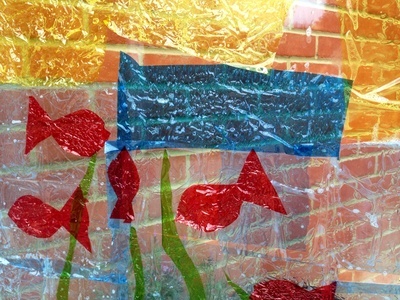 Press the coloured cellophane shapes onto the wet glass. They should cling on. 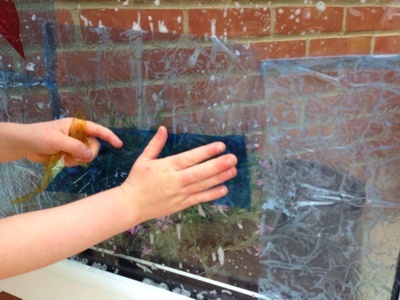 Brush a little more soapy water on top where you want to put on another layer of a different colour.